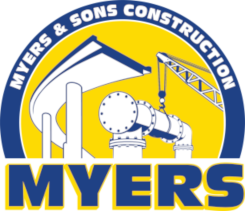 Myers & Sons was awarded a contract to remove an existing 3/8” Multi-Layer System (MLS) overlay along Highway 50 on the Sacramento River Viaduct (Br. 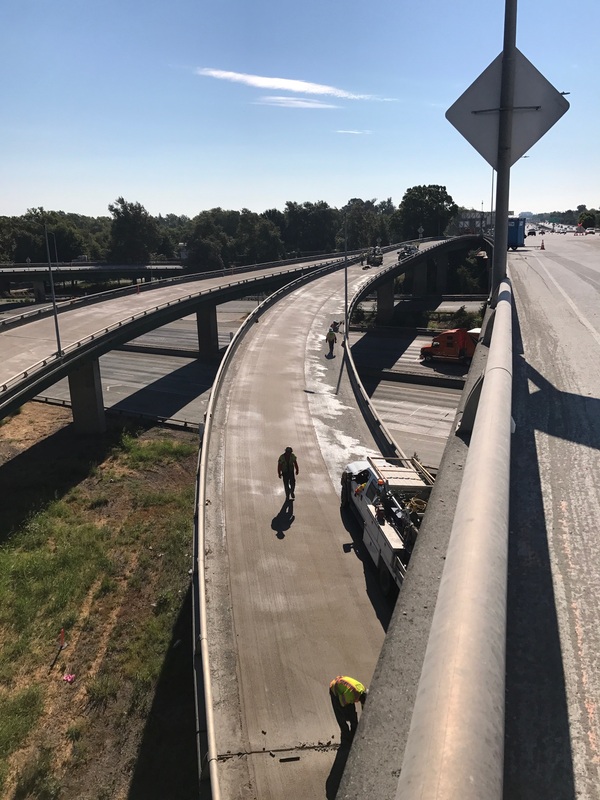 #25 0004L/R), Jefferson Undercrossing (#22 106L/R) and associated ramps and connectors. 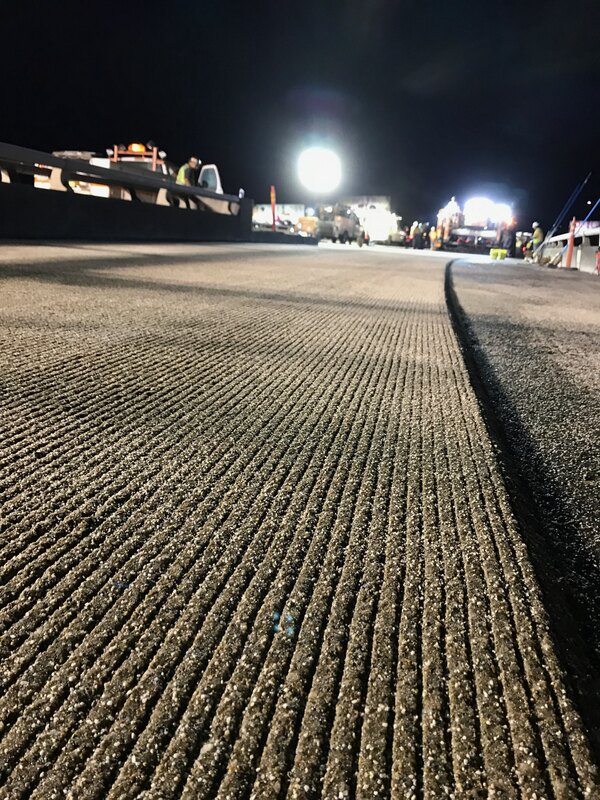 The MLS was removed by use of fine and micro milling, with handwork, along the existing concrete barriers where grinders cannot access the entire width of the bridge deck. 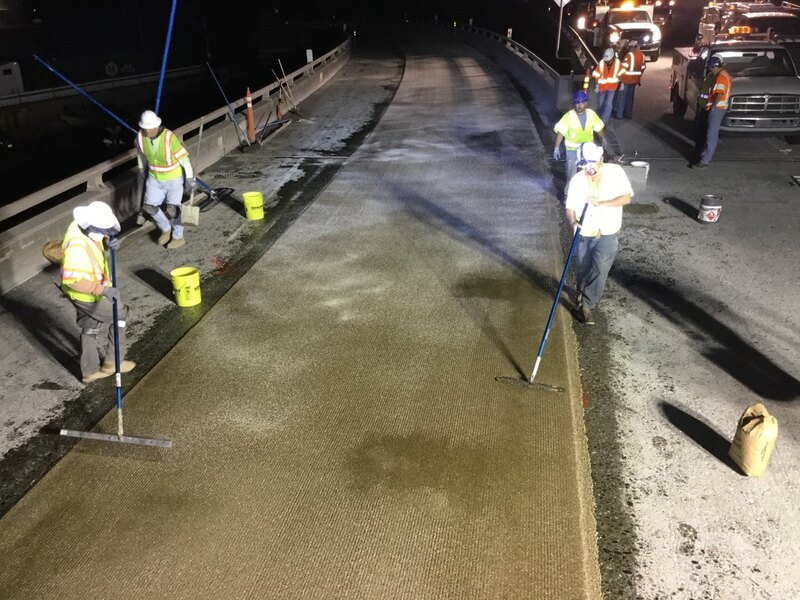 Following the removal of the MLS, a 1” Polyester Concrete overlay totaling 112,500 cubic feet worth of material was placed. 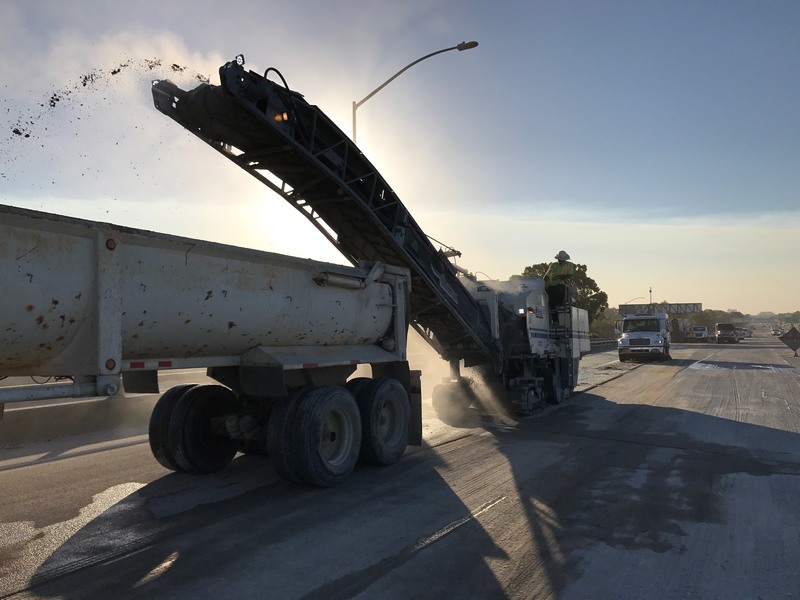 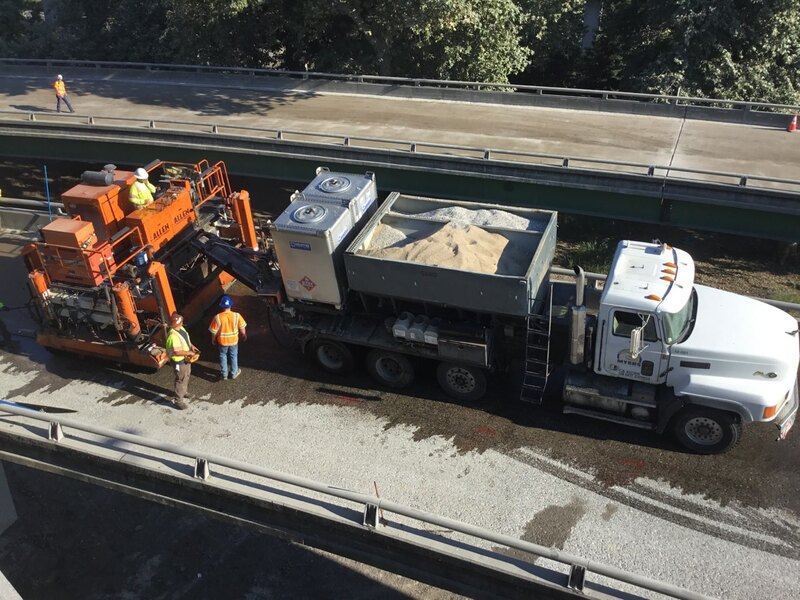 Work also included hot mix asphalt conforms, replacement of approach slabs, joint seal work and lane striping.